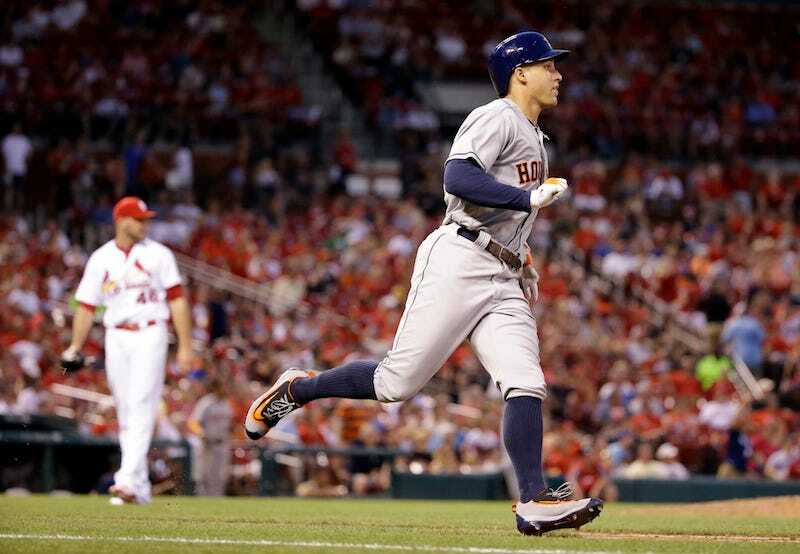 George Springer and Carlos Gomez took advantage of a shaky St. Louis Cardinals bullpen Wednesday as the Houston Astros beat the Redbirds, 4-1. With the Astros down by one in the eighth inning, Springer smacked a two-run homer off relief pitcher Kevin Siegrist, who was tagged with the loss. Trevor Rosenthal came in for the ninth, but loaded the bases and gave up two more runs on a Carlos Gomez single. Rosenthal left after recording one out. The relievers’ implosion spoiled a stellar start from Adam Wainwright. The Cardinals righty pitched seven scoreless innings with six strikeouts, but didn’t factor into the decision. The Cardinals are 15-18 at home. There’s always the next game!